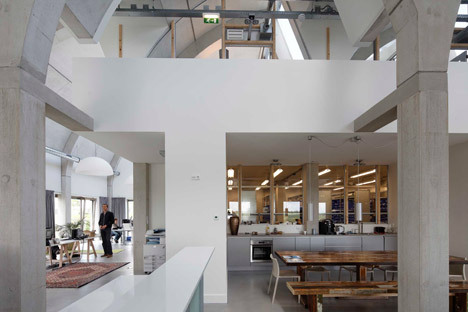 The jagged roof of this warehouse and office space in the Netherlands is developed to reference a 1950s weaving mill by Dutch architect and designer Gerrit Rietveld . 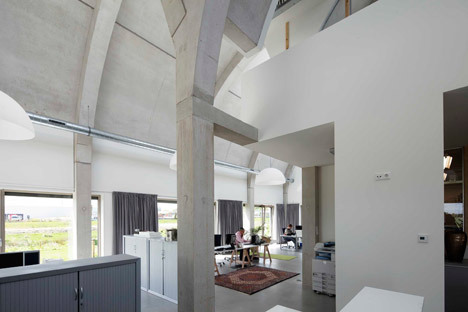 Dutch architect Arnoud Olie, who is the founder of Meppel-based studio B+O Architectuur en Interieur B.V, created the Workplace Developing in the city of Zwartsluis for industrial parts producer ForTop Zwartsluis. 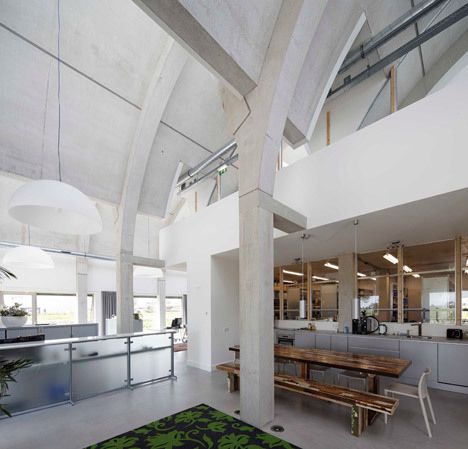 The brick and concrete constructing, which attributes a distinctive roof profile, also functions as a warehouse space and distribution centre. 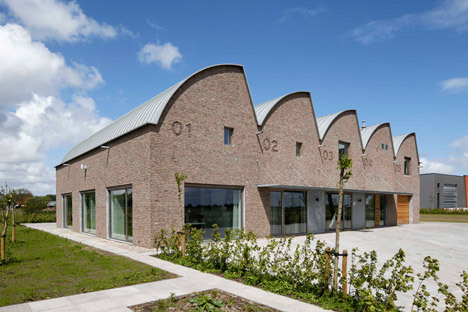 The serrated roof was inspired by Gerrit Rietveld’s 1959 layout for a weaving mill situated in the southern Netherlands town of Bergeijk. 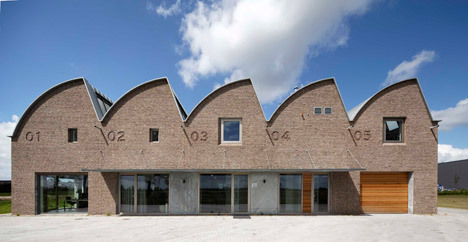 The mill by Rietveld, who was a member of Dutch abstract movement De Stijl, is made up from a series of conjoined pods that together develop a curving sawtooth roofline. 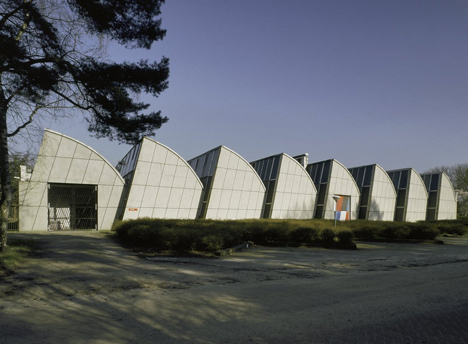 “The creating has several distinctive attributes and was cautiously created and in depth, generating the constructing appear absolutely nothing like a standard workplace constructing,” said the architects, who wished to steer clear of the conventional “square box” buildings typically adopted by factories in the area. 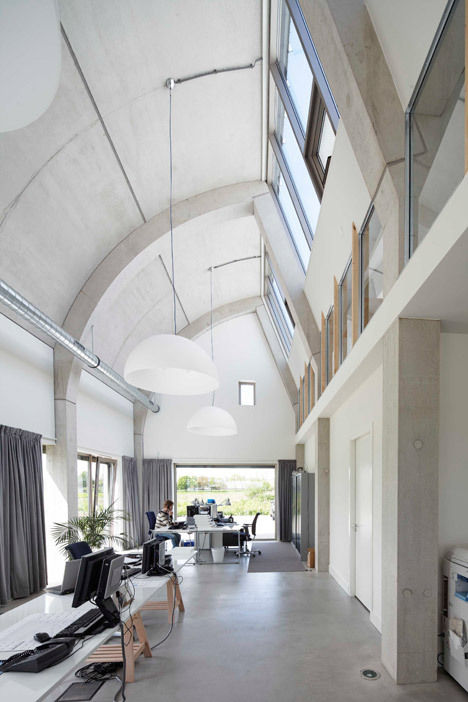 The north-facing straight elements of the roof encounter are glazed to let light into penetrate the constructing, whilst the curving components offer shade from direct sunlight. 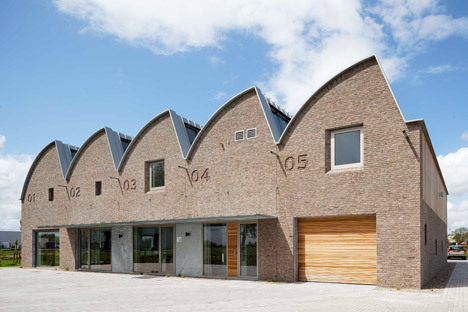 The building is faced in brown brick, whilst entrances are marked by huge panels of glazing and a wooden garage door. Numbers on the brick facade correspond to the company’s distinct distribution centres, enabling delivery drivers to easily locate their cargo. 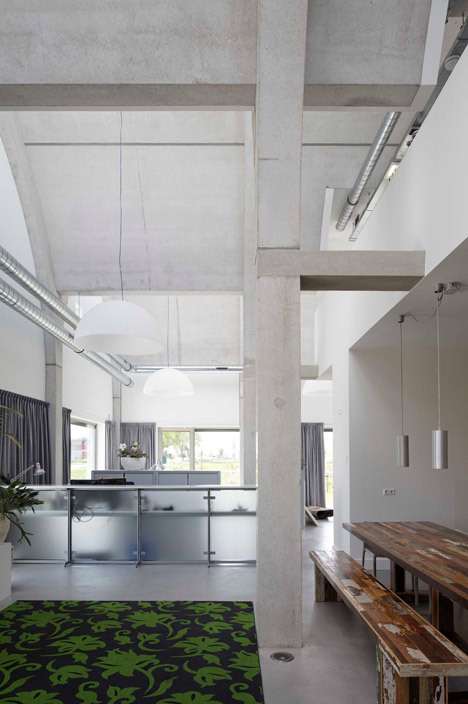 A glass door opens into the central hall and employees canteen, which is separated from the warehouse by a glazed wall. 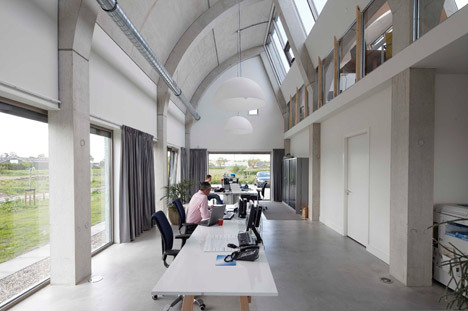 An open workplace is situated on 1 side of the hall, whilst a door that prospects to a storage area and workshop is located on the other. 3 meeting rooms are situated on the very first floor. A second identical developing, which will home other companies, is planned for an adjacent plot. Next articleWall Color Combinations Are Fun!